"Nothing up my sleeve . . . Presto!" Many public figures—some merely mildly notorious, others truly famous (or infamous)—had brothers and sisters who went along with their own lives without being generally noticed. The Unabomber, Ted Kaczynski, had a brother, David, who lived a quiet life with his wife. David, however, was instrumental in leading the FBI to finally capture the Unabomber. He recognized the writing style and verbiage of a “manifesto” the mysterious Unabomber insisted be disseminated lest he commit more bombings. David, prodded by his wife who was the first to take note, became convinced the writings were that of his older brother, Ted. He reported it. Ted was later run to ground in a shack in Montana in 1996 and arrested for the “letter” bomb murders of three people and the wounding of 23 others (spanning 1978 to 1995). In other cases the celebrity sibling does not necessarily turn out “bad”. Emily Deschanel, best known for her star turn in the title role of Fox Television’s crime drama Bones (2005 to the present), has a younger sister, Zooey Deschanel. Zooey is an actress in her own right as well as fronting the quirky (and critically well-received) music duo, She & Him. Perhaps the best-known name in the history of legerdemain and “escapology” is that of Harry Houdini (1874-1926). Like Emily Deschanel today, Harry also had a very talented and successful sibling, his younger brother, Theodore. And under the professional name “Hardeen”, this “other Houdini” carved out a niche for himself professionally; he even pioneered some of the stunts his more famous brother co-opted. Rabbi Mayer Sámuel Weisz (b. 1829), and wife Cecília (b. 1841) were Hungarian Jews living in Buda-Pest. The rabbi had been married once before Cecília and had a son named Herman (b: 1863) from that union. In quick order the new couple begat two sons (born in 1870 and 1872 respectively); another son, Erik (b: 1874), and then another boy, Ferencz (b: 1876). The rabbi altered the family name to the more Germanic sounding (and spelling) “Weiss”. In June of 1882 he became a naturalized US citizen. Other name changes among his offspring occurred. Erik became “Ehrich”, but most people called him “Ehrie” (close enough to “Harry” in sound that he later used that as his first name when he added the alliterative “Houdini” professionally). Younger brother Ferencz Dezso Weisz “Americanized” his first name to “Theodore”. It was a version of his middle name, though, that most of his family used in conversations, calling him “Deshi” (generally shortened to “Dash”). The first-born, Herman, died in 1885. The senior Weiss lost his place in the Appleton, Wisconsin, synagogue in 1887. Taking only Ehrie with him (though the rabbi had two older sons, thus indicating the future Harry Houdini was “favored”) he moved to New York City. He and Ehrie lived in a boarding house. The rabbi sent for the rest of his brood after securing a better place to live. Harry (“Ehrie”), though as a child holding several different jobs (children were expected to work), took an early interest in show business. By the age of nine he was appearing as an aerialist (a trapeze artist), debuting as “Ehrich, the Prince of the Air”. Short of stature (even by the standards of his day) physical sports were in his blood; he was also later a cross-country runner, winning medals for his achievements. Theodore (or “Dash”) was mentored early by his older brother. And seeing opportunity the young Harry Houdini enlisted Dash as a partner for what would pave the way to a stellar career in magic. One, however, would always live in the shadow of the other. Harry took on the last name “Houdini” in deference to a popular French magician/illusionist named Jean Eugène Robert-Houdin (1805-1871). 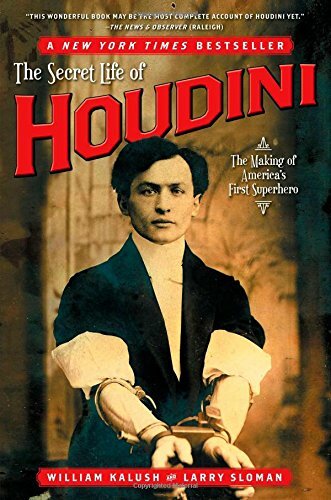 In 1890, Harry had read this man’s “autobiography” and took the last name “Houdini” (thinking, with his limited education, that the “i” letter at the end of the famous man’s name meant he, Harry, was “like” the great Robert-Houdin). He took the younger Dash on the road with him as a partner. The pair traveled under the moniker “The Brothers Houdini”. Most of the show involved Harry doing card tricks, some slight-of-hand, and some routine illusionist acts (the “trunk escape”, etc., with Dash being the “assistant”). Credit: wildaboutharry.com; public domainIn 1893, the brothers played a show at Brooklyn’s amusement center on Coney Island. Among the group of performers working there was a young “exotic” dancer with the unwieldy name of Wilhelmina Beatrice Rahner. She generally went by “Bess”. Harry and Dash worked together with her on some shows. Compared to Harry, the brown-haired, blue-eyed Dash was a behemoth. Bess never weighed more than 98 pounds (almost 45 kg) in her lifetime. She likely suffered from amenorrhea (whether voluntarily, because of anorexia—at a time when the term was unknown to the general public—or because of other health issues) and may have never matured as a “woman”, retaining a child/woman image. [There are reports that she never menstruated during her lifetime; thus, she could never have given birth, partly explaining why the Harry Houdini household never produced offspring.] Regardless, it is almost assured the overpowering, and very macho, Dash would have been too much “man” for her—comparatively speaking, the slighter Harry would have physically suited her better. From his side of the equation, Harry had remarked that Dash was getting “too big to fit in the trunk”, and the very tiny Bess made for a suitably small replacement. Harry Houdini, with Bess at his side as both his assistant and his wife (despite his later extra-marital affairs, most notably in 1918 for about three months with Jack London’s wife—London had been dead for a couple of years by the time the affair started), went on to a very lucrative and illustrious career as a magician/illusionist. His name became known globally, synonymous with legerdemain activities and escape artistry. Dash (having been dismissed by his brother after Harry and Bess became romantically involved), decided to take on an identity of his own. He picked a variant moniker (actually suggested by Harry), “Hardeen”, to use for his on-stage persona. From there he managed to make a name for himself (albeit a second-hand one) in show business. By 1903 he felt he’d had enough show biz experience behind him to publish an autobiography, Life and History of Hardeen, in which he documented his life and the previous two decades spent working with Harry and on his own. To ease his lovesickness Hardeen married a woman named Elsie. They had two sons: Theodore Hardeen, Jr. and Harry Houdini Hardeen. Harry and Dash, luckily, never formed any professional animosity toward each other. Dash created what Harry Houdini later used as a great publicity gimmick, escaping from a strait jacket while hanging suspended by his feet or submerged in a pool. And it was Dash who first came up with the ploy of doing those stunts exposed, showing his struggles to the breathless audience without benefit of a curtain or other cloaking mechanism. There remained a strong bond between them despite the fact that Harry had “stolen” the girl Dash had desired and was clearly “Number One” to his “Number Two”. In 1917, alleging that he wanted to spend more time with his family (now that his boys were of school age) Dash dramatically tossed many of his stage props into San Francisco Bay, claiming he was retiring from show business. Hardeen performed sporadically from then until 1919, and then shunned the limelight afterward. The reality is that he was not voluntarily hanging up his handcuffs: he'd been tapped by Harry to run Harry’s newest venture, a film company. Running Houdini’s film business, though, ended up leaving Dash with ulcers. Dash was on Harry’s payroll until sometime in August 1926. Whether he quit Harry's film business or was terminated is unknown but there can be no doubt he would need work. Brother Harry Houdini died on Halloween in 1926 (at age 52). In the wake of Harry’s death (and with the sudden publicity it generated) Dash was quickly able to come out of retirement (less than a month later). [The earliest reference to any comeback performances is November 23, 1926, only twenty some-odd days after Harry died.] Billing himself sometimes as “Houdini’s Successor”, he worked the vaudeville circuit; while continually working up with new stunts, he honored his dead brother by performing many of Harry’s best known illusions and escapes. In April 1935, at 58 years old, Hardeen met with a near death experience. He was performing the famous “milk can” escape in New York. This is the trick where an outsized container is filled with 40 gallons of water and then the magician is lowered in. The lid is secured with six padlocks, and the escape stunt follows from there. However, in this case, Hardeen was trapped. He began tapping frantically on the inside of the can. This was a signal that, while never having been needed, he’d devised decades before in case of such an emergency. His assistant of 33 years, Jimmy Collins, recognized the situation as having gone awry; he snagged an ax and broke open the container. A sputtering Hardeen was saved. Later that same year (details are sketchy) in either late August or early October he had another onstage mishap in which he nearly suffocated. By 1934, Hardeen had himself appeared in several short films of the newsreel and performance types. Taking a safer route to make a buck in the wake of his stage accidents he was cast in a leading role in a Warner short, Medium Well Done, in 1936. The plot was culled from his brother’s medium-busting days—Dash played a detective trying to expose a fraudulent spiritualist No print of this film survives. He made the cover of Genii (a specialty magazine geared toward the professional conjurer) in October 1943. In 1944 he founded the Magician’s Guild of America. Ferencz Dezso Weisz, better known as Theodore “Dash” Hardeen, did not live much past the fall of Berlin in April 1945 or his retirement in May. He stayed on in New York City with the intention of writing a book about his brother’s life. Between then and the atomic bombings of Japan in August 1945, Dash entered a New York hospital for a minor surgical procedure (details unknown) in June. On June 12, 1945, he died there from post-surgery complications. He was 69. Though not so famous as Harry, Dash did not necessarily go unnoticed in pop culture. A made-for-TV biopic about Harry Houdini aired in 1976, with veteran actor Jack Carter playing the role of Houdini’s younger brother. And heavy-hitter HBO’s blockbuster series, Boardwalk Empire (2010-2014), featured an episode (“Paris Green”) that spotlighted Hardeen (played by Remy Auberjonois). This was the eleventh episode of the first season—it aired November 28, 2010. A big budget miniseries, Houdini, was presented on cable television’s History Channel over two nights starting September 1, 2014. Tom Benedict Knight played Dash; the character managed to snag some decent screen time in this well-written and well-acted drama (with Adrian Brody playing Harry). FX’s American Horror Story: Freak Show, episode 2, aired Oct 15, 2014. 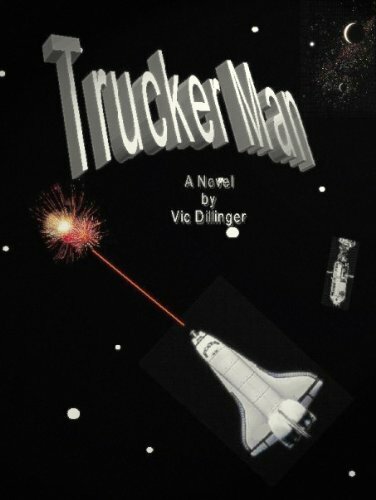 The character of strongman, Dell (played by Michael Chiklis), arriving for a job at the titular freak show (c. 1952), referenced the fact he had worked with Hardeen, Houdini’s brother, several years before. It was enough to get the attention of the show’s impresario, Elsa Mars (played by Jessica Lange). She hired him based on his Hardeen experience. While not a second-rate performer, Hardeen lived in Harry’s shadow most of his professional life. And he could have built his career based solely on coat-tailing his more famous brother. Instead, he chose to be his own man (with a wink and a nod to Harry) and managed his own fame. He deserves to be remembered in the same breath as his better-known sibling. "Harry Houdini." American Peoples Encyclopedia. 1963. "Harry Houdini." Britannica Ready Reference 2003. 2002. "Theodore Kaczynski." Britannica Ready Reference 2003. 2002. "Jack London (pseudonym of John Griffith Chaney, 1876-1916, US writer)." The Houghton Mifflin Dictionary of Biography. 2003.